For five centuries protection has provided a basic currency for organising relations between polities. Protection underpinned sprawling tributary systems, permeated networks of long-distance trade, reinforced claims of royal authority in distant colonies and structured treaties. Empires made routine use of protection as they extended their influence, projecting authority over old and new subjects, forcing weaker parties to pay them for safe conduct and, sometimes, paying for it themselves. The result was a fluid politics that absorbed both the powerful and the weak while giving rise to institutions and jurisdictional arrangements with broad geographic scope and influence. 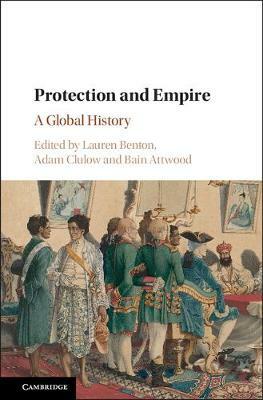 This volume brings together leading scholars to trace the long history of protection across empires in Asia, Africa, Australasia, Europe and the Americas. Employing a global lens, it offers an innovative way of understanding the formation and growth of empires and uncovers new dimensions of the relation of empires to regional and global order.